Data show English learners (ELs) enrolled in Pre-K - 12 public schools are the fastest growing population; yet, research shows that ESOL (English for Speakers of Other Languages) training is not required for all educators and school personnel across the nation. 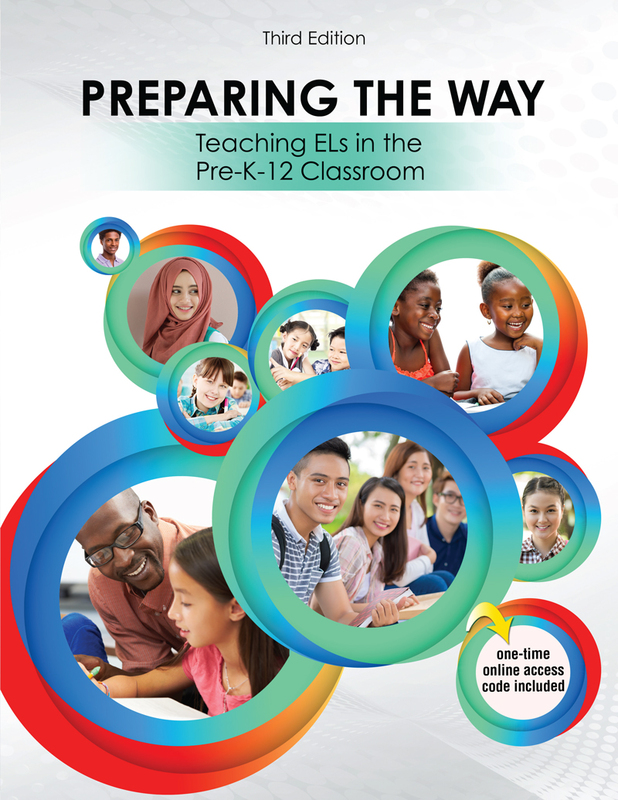 In this new third edition of Preparing the Way: Teaching ELs in the Pre-K-12 Classroom, the editor facilitates the development of a reader-friendly ESOL guide for teachers, administrators, and school personnel through access to links and documents at www.esolinhighered.org. Twelve authors, with vast years of experience in TESOL, examine the struggles and challenges educators and ELs face in the mainstream classroom. Specific examples include: a teacher’s appreciation and understanding of the legal foundations of ESOL; encouragement and value of one’s own cultural awareness; a deeper knowledge of the aspects of the English language and its subsystems; an investigation of SLA theories and their application to the classroom; an examination of WIDA resources and links; ways to identify and meet the needs of SLIFE; an analysis of ELs with special needs; a reflection on gifted ELs; a discovery about the role of bilingualism; and assessment measures for ELs. This state-of-the-art edition makes connections at the beginning of every chapter to literacy and lesson planning with new teacher vignettes spanning several states. Additionally, educators will appreciate the hands-on practical activities, which provide for a strong knowledge base to plan appropriate lessons and interpret assessment data. This edition now includes an online multiple choice test bank (one semester license) for every chapter. It is a valuable resource for ALL educators pursuing ways to meet the needs of ELs in U.S. mainstream classrooms. materials and readings that align to national and state ESOL standards and foster a practical approach to teaching ESOL in higher education. What It Means to Mean: Do Words Contain Meaning? Teacher Vignette: Ms. Woodward (Continued). Literacy Strategy: Sum It Up!